Having turned fifty last year (I know, it’s almost impossible to believe!) I have found that the last 12 months has been a fairly hectic time with numerous parties and reunions of old friends celebrating the same milestone. Another particularly memorable reunion was a recent celebration with university friends marking 30 years since we started as students and it was amazing how we all seemed to gel together again, as if we had only been apart for a few weeks rather than for over twenty five years. Of course the one thing that we all agreed on was the fact that none of us had changed a bit! I had similar thoughts a few days later when I was invited to visit a golf course I had not seen for the best part of twenty years. One of the great joys of being a golf course architect is to be able to return to a course which you have designed years after it was first opened. Our official involvement with most projects ends on the day the golf course opens for play, although often you are invited back if there is a special event or you need to check on the golf course set up. At EGD we normally maintain a close relationship with our clients and often return to our courses over the years, sometimes even with our clubs! However, inevitably clients and personnel change, and like an old friend you sometimes begin to lose touch. Add to that the remoteness of some projects and it is easy for both sides to find themselves ‘moving on’. So it was with a mixture of surprise and delight that I received an invitation to join in the 20th birthday celebrations of Schloss Wilkendorf Golf Club in Germany, near Strausburg, about an hour’s drive east of Berlin. Schloss Wilkendorf was a large project we designed in the early 90’s with 36 holes and extensive practice facilities, including a three hole academy course. The championship course was designed in association with Sandy Lyle. I well remember my first visit to Schloss Wilkendorf in 1992, only three years after Germany’s reunification, and driving seemingly miles along cobbled streets to get to the site. I thought it quite unlikely that golf would be considered as a serious sport in this part of the world. Yet how wrong could I be? Before construction even started a short course was mown out in a meadow alongside our course and it was soon filled with children going around with borrowed clubs, quickly reaching a very good standard. Returning to Schloss Wilkendorf I was delighted to see that, like my friends from college, the golf courses had hardly changed, and one other thing had not changed at all. I was amazed to find that the head greenkeeper was still Gordon Smith, the man who had grown in the golf course for the contractors, Southern Golf, all those years before. Gordon has matured and developed the course without losing any of its character and I thoroughly enjoyed our day as we toured every hole. Schloss Wilkendorf is a lovely, secluded place, with both golf courses totally enclosed by woodland. The region is well worth a visit and it now boasts some fine golf courses. 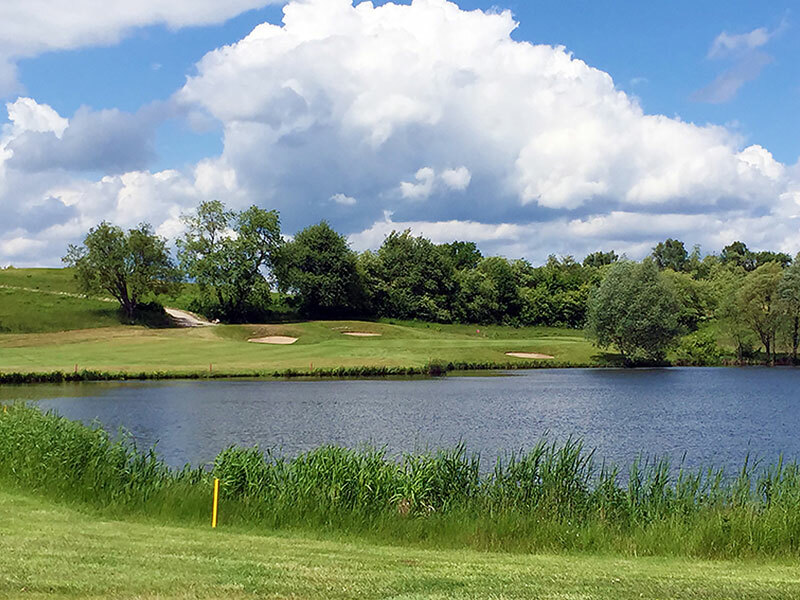 Not far away is Sporting Club Berlin at Scharmützelsee which boasts two EGD courses created by our former colleague Stan Eby, including the Faldo Course, which he designed in association with Nick Faldo, and the Eby Course, named in Stan’s honour. Inevitably, at the end of all the reunions and 50th birthday celebrations we all make promises to meet up again soon and to not leave it so long the next time. Similarly I resolve to visit Schloss Wilkendorf again before I’m invited to their next 20 year anniversary. Certainly I want to make that visit before I am doing the rounds of 70th birthday celebrations! “Do you get to play the courses you’ve designed?” It’s a question I’m often asked by people when they hear what I do for a living, and the answer is “yes, but not as often as you might think”. Although we might visit a new golf course thirty or more times during construction and establishment the opportunities to play the course are actually few and far between. We might get a small window of opportunity to play the course, or more usually a few holes, before opening day, and then perhaps once or twice more when we make our final site visits, but thereafter the chance to take on our own design are fairly infrequent. Even when you do visit the course over subsequent months and years, we’re normally too busy looking at it professionally to have time to play it leisurely. So when we get the chance to return purely for golf we tend to grab it with both hands, and recently we’ve revisited a couple of EGD courses which were originally opened in the late ‘90’s. Ten days ago three of our number took time out to play the course we designed with Ian Woosnam at Dale Hill Hotel & Country Club in East Sussex. The course, which has some wonderful panoramic views of the surrounding “1066” countryside (a reference to nearby Hastings), was in great shape and a delight to play on a wonderful summer’s day. 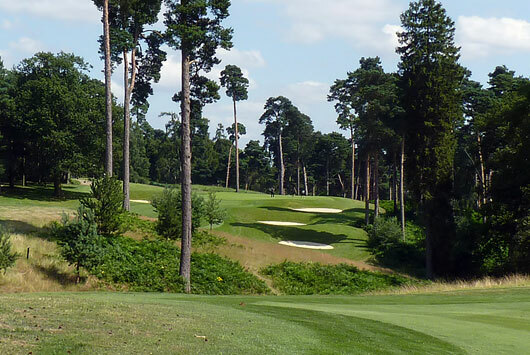 And then last week I was lucky enough to be invited to the Woburn Classic Golf Day which was played on the Marquess Course, the youngest of three wonderful courses at Woburn Golf & Country Club. It had been some time since I last visited the course and I was eager to see how it looked and played. Well, all I can say is that I was impressed. The conditioning was superb, certainly the best I’ve seen there over the last 15 years, and John Clarke, the Golf Course Manager at Woburn, and Gary Leadbetter, his head greenkeeper on The Marquess, deserve a huge amount of praise. 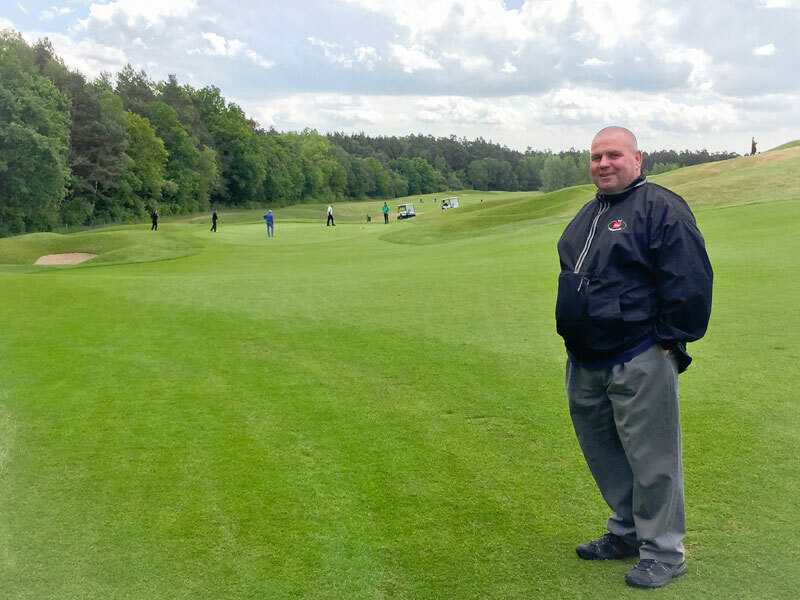 This has been an exciting time for Woburn, and especially for The Marquess Course which had its 14th birthday in June this year and had two great reasons to celebrate. Earlier this month it was one of four courses around the country to stage the Final Open Championship Qualifying (the other three qualifying courses selected by the R&A were Sunningdale New, Hillside and Gailes Links). Irish amateur Paul Dunne comfortably led the Woburn qualifiers with Oliver Fisher and Celtic Manor touring pro Rhys Enoch (a man who obviously likes EGD courses!) taking the other two places available. The week after Open Qualifying it was announced that The Marquess will be the venue for the 2016 RICOH Women’s British Open Championship. This is a major coup for Woburn and shows how The Marquess is held in increasingly high regard, particularly when one looks at the current rota for the championship. The venues for the proceeding years leading up to 2016 will have been; The Old Course, St Andrews (2013), Royal Birkdale (2014) and Turnberry Ailsa Course (2015). 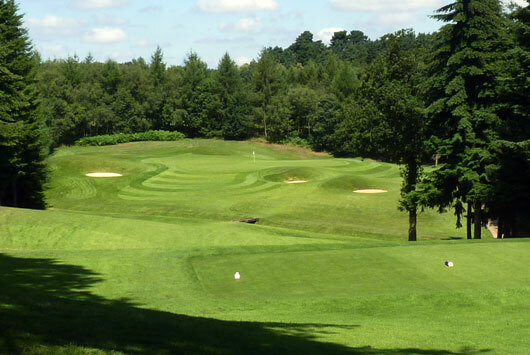 The Marquess already has a track record of hosting high quality tournaments, having staged two British Masters soon after it opened in 2001 and 2002 and then the English Amateur Championship in 2011, and it is great news that it will now stage one of women’s golf major championships. In fact 2016 will be an exciting year for EGD as well. With the RICOH Women’s British Open on The Marquess and the Evian Championship at Evian Resort Golf Club, two of that year’s women’s major championships will be played on EGD courses. Lists of the World’s top golf courses always sparks lively debate in EGD towers whenever they are published. No one ever agrees with the actual rankings and mock indignation is often expressed at the inclusion of some courses at the expense of others. If our own golf courses fail to make ‘the list’ then we decry the inability of the selection panel to understand the obvious superiority of the design and we criticise the whole concept of trying to compare one course against another. On the other hand when courses by European Golf Design are included then we congratulate the panel members on their fine judgement and impeccable ability to understand the intricacies of great golf course architecture! So, in the past week, we’ve had nothing but praise for those fine fellows at Golf World magazine following the publication of their biennial list of the Top 100 Golf Courses in Continental Europe. And the reason? It’s because there are no fewer than six courses within the rankings which we’ve been involved with. Five of our Courses (Stadium Course at PGA Catalunya designed in association with Neil Coles and Angel Gallardo, The Faldo Course at Sporting Club Berlin designed with Nick Faldo, The Sultan at Antalya Golf Club, Navarino Dunes with Bernhard Langer and Linna Golf) all made the list in 2011 and for 2013 they are joined by a brand new course in The Netherlands called The Dutch. 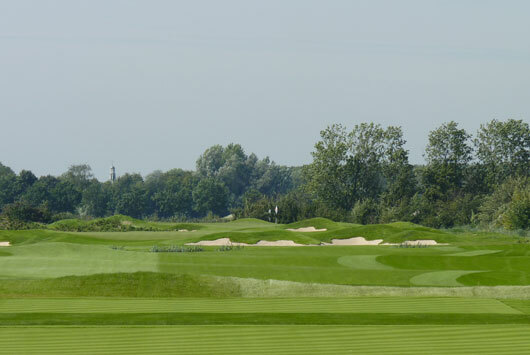 The Dutch is another of the courses we have designed with Colin Montgomerie, who (with our assistance) is building a fine portfolio of work across Europe. Two of Colin’s courses are on the European Tour schedule for this year and The Dutch is already marked down to stage the Dutch Open for three years from 2016. In addition to the top 100 courses a further five of our courses are included in Golf World’s list of the next 100. 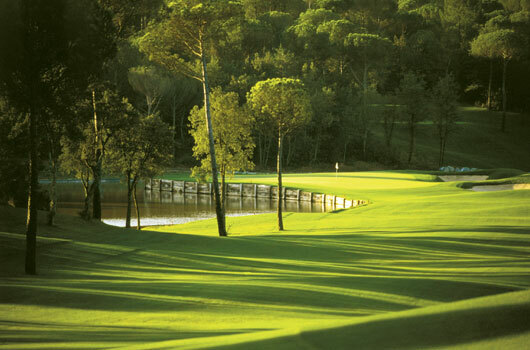 These include Lighthouse GC designed with Ian Woosnam, the newly renovated Evian Golf Club, the recently opened Zavidovo PGA National Russia, The Montgomerie Maxx and The Pasha at Antalya GC. Impressively that makes eleven courses by European Golf Design and our partners in the top 200 in Europe. 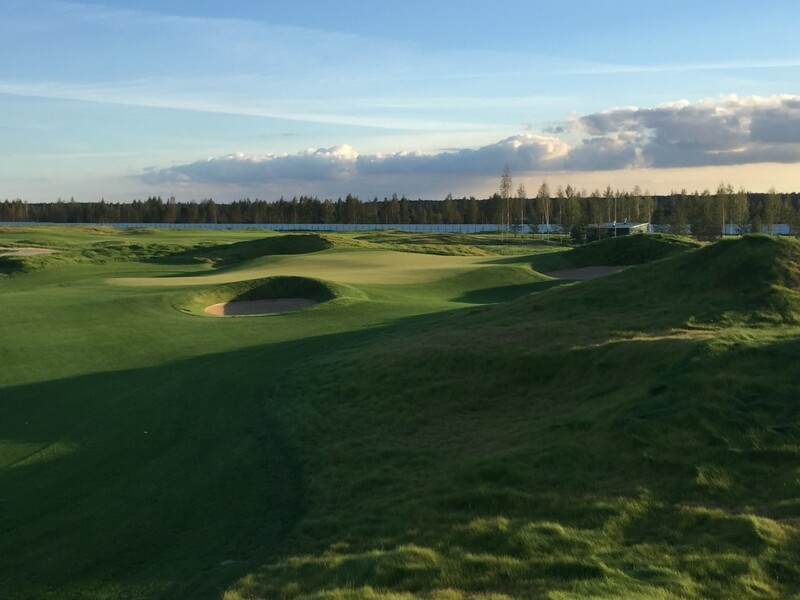 Perhaps the most interesting aspect of these courses is their geographical spread, located as they are in The Netherlands, Spain, Germany, Turkey, Greece, Bulgaria, France, Russia and Finland, confirming our reputation for building high quality golf courses in different styles and in many different regions of the world. It’s another big tournament week for European Golf Design as an impressive list of Major Champions gather near Dublin for the 2013 Irish Open at Carton House Golf Club. Darren Clarke, Padraig Harrington, Graeme McDowell and World Number Two Rory McIlroy will all be challenging for their national title over the Montgomerie Course, designed by Colin Montgomerie and European Golf Design’s Stan Eby. It is one of two European Golf Design courses at Carton House, the other being the O’Meara Course, designed in association with Mark O’Meara. 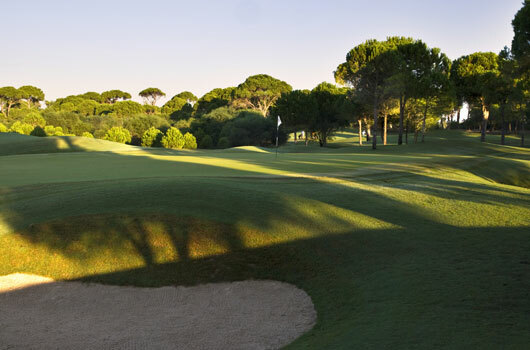 Set within open parkland the Montgomerie Course has the feel of an inland links, and is characterised by steep faced bunkering as well as dramatic swales and contouring around the greens. It is a very strategic, thinking man’s golf course which demands accurate shot placement as poor shots will tend to be swept away from target areas and towards the penal bunkers. This is the third time in the last nine years that the Irish Open has been staged on the Montgomerie Course, which was named as the “Best New Design of the Year” in 2004 by Golf World. To add to its tournament credentials the course has also successfully hosted the 2004 Irish Amateur Open Championship, the 2010 Irish Seniors open and the 2012 European Amateur Championship. The Irish Open is the first of two European Tour events which will be staged this year on Colin Montgomerie/European Golf Design courses. The other will be at The Montgomerie Maxx Royal in Turkey for the Turkish Airlines Open, part of the inaugural Final Series of The European Tour’s Race to Dubai. Sustainability – The Centre Pole at the Centre of Golf’s Tent! “Sustainability is absolutely the centre pole that keeps this whole Olympic tent up”. So says Head of Deliverance Ian Fletcher in the BBC comedy ‘Twenty Twelve’, the spoof series based on the organisation of the 2012 Olympic Games. It’s a metaphor, often used by the lead character, played brilliantly by Hugh Bonneville, to express the central importance of various issues as the Olympic Delivery Commission lurches from crisis to crisis. Yet is this metaphor so far from the truth? I’d argue that sustainability is becoming the ‘centre pole’ for many new developments. 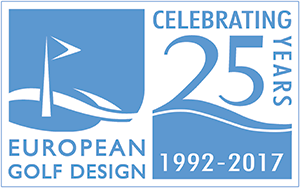 At European Golf Design sustainability is certainly at the heart of our design process. From the early stages of any project we work hard to create courses which exhibit a positive environmental, social and economic benefit. In the late 1980s and early 1990s the principal concern was the environment. At that time there were growing concerns about the impact of golf, especially regarding the use of water and the effects of chemicals and fertilisers on natural habitats and water courses. Environmental Assessments were incorporated into the UK planning system in 1988, and this led to projects having to compensate for any negative environmental impacts. In the mid-1990s the Committed to Green initiative led the way in giving golf a voice within the environmental lobby and for the past decade that task has been led by the Golf Environment Organisation (GEO). It has taken many years for the golf industry to put across the message that golf is not the blight on the landscape that many perceive, and in fact golf courses which are properly designed, constructed and managed can actually benefit local ecology and provide valuable green space. But it is no longer just the environment that concerns us. Today’s developments not only need to demonstrate a greater degree of environmental awareness, they also need to achieve higher standards of social and economic stewardship. Sustainability is defined as the relationship between these three elements. GEO is dedicated to ensuring that golf leads the way in the development and management of sustainable projects and at European Golf Design we work closely with GEO to help all of our projects meet the appropriate sustainability criteria. As part of our commitment to sustainability, three of our staff will soon be taking part in an important new initiative jointly organised by the European Institute of Golf Course Architects (EIGCA) and GEO. 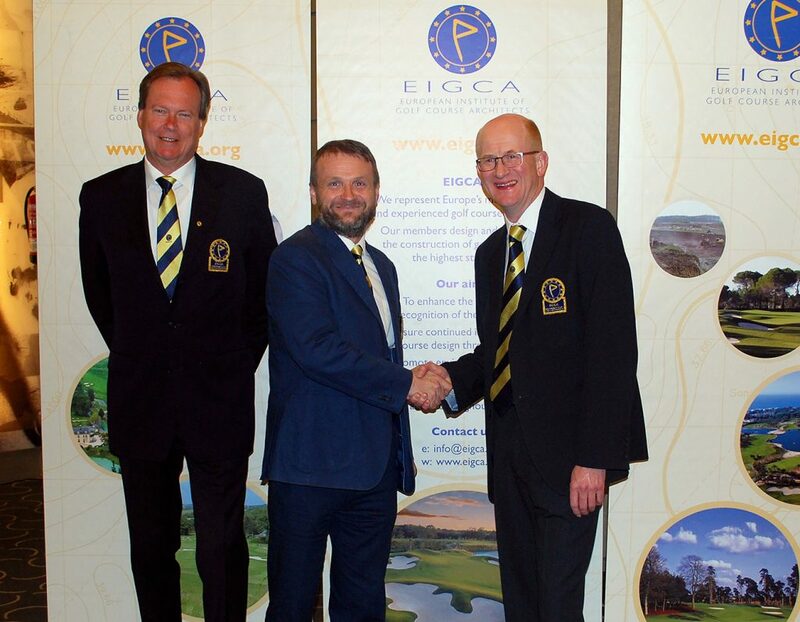 The EIGCA’s ‘Raising the Standard of Sustainable Golf Course Design Programme’ will be the first Continuing Professional Development course on sustainable golf in the world. Those who attend the course will learn design principals based on the six action areas that comprise Sustainable Golf: Water, Energy & Resources, Environmental Quality, Landscape & Ecosystems, People & Communities and Products & Supply Chains. In the final phase of the programme, designers will need to demonstrate their understanding through the submission of a real case study. Those who successfully complete the programme will then be listed on a Sustainable Design Register. It is an important step forward for golf and one that will hopefully lead to real improvements in the standard of golf course design and also in the way that golf developments are perceived outside the industry. If sustainability wasn’t the ‘centre pole’ of the golf course design tent before, then it is definitely moving closer to the centre now, and to quote Ian Fletcher once again, “were it not for that centre pole at the centre, then how would we know where the centre was”! “A study suggests that coffee, tea, red meat, chicken, alcohol, too much sun, not enough sun, etc, etc, can be good/bad,/good and bad/ for you, and can knock years off/add years to/ make no difference whatsoever to/ your life”. Now normally I wouldn’t pay too much attention to these stories. They nearly always play on our insecurities about our own health and invariably they are ‘news’ items released by PR companies looking to gain publicity for their clients. But one recent story caught my attention. A study suggests that taking dogs to work ‘reduces employee stress’. Now I don’t have a dog but ‘according to research’ (yes, there’s another dreaded phrase) access to dogs in the work place boosts morale and reduces stress levels, not just for the dog owners but for those people who have access to other peoples dogs. 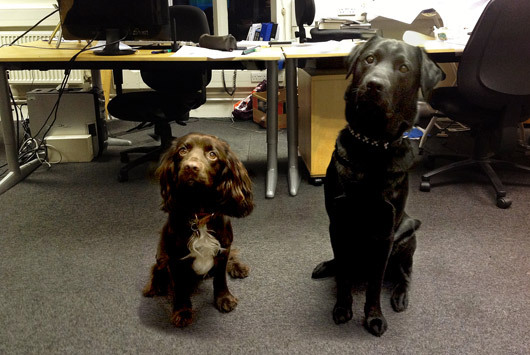 Which all explains why, at European Golf Design, we work in a virtually stress free atmosphere, in the presence of Mac, a Black Labrador belonging to Alex, and Riley, Gary’s Working Cocker Spaniel. Of course it’s only stress free if you can keep the two of them apart, and there was that one very stressful occasion when Mac escaped and raided the local butchers, but otherwise they retain a permanent sangfroid which probably benefits us all. That is until they hear the biscuit box being opened! As a golf course designer one of the first questions I find myself being asked, (after the classic “So, do you play golf?”) is “What’s your favourite course?”, and I never quite know how to answer. In all honesty I’m not sure I have one favorite course. There are plenty which I’ve been inspired by, and not always through playing. Sometimes it might be from visiting the course, but just as often it will be through seeing it on TV, or even just a photograph of a hole in a book or magazine. Quite often the inspiration comes from a detail rather than a whole course, maybe a bunker style, or a bump on a fairway, perhaps the depressions at the back of a green. Most golf course architects will have their favorite courses and preferences for design style, but it is the poor architect who tries to submit his own design style on a property without consideration of the surroundings. Ideally the designer’s eclectic experiences should be combined with the physical elements of the site to create an individual style for each new golf course. As a designer I am influenced, even if only sub-consciously, by almost every golf course I visit, of whatever standard. Very often you can learn more from what’s bad as what’s good. The holes that have influenced me? Well, somewhat obviously, the par 5, 13th at Augusta would make the list. A great strategic hole which asks so many questions of the golfer, from the tee to the last putt. It has what all great golf holes need; superb design, a beautiful setting, drama and excitement in equal measure. There are two other par 5’s that have always had an influence for as long as I can remember. The 14th or Long on the Old Course is another hole which sets tasks for each stroke and seems to provide countless options as to how it might be played. It was identified by Alister MacKenzie as one of his ‘Ideal Holes’, the great man noting that, despite the fact that the hole was 530 yards in length, “the tilt of the green has a considerable influence on the tee shot”. 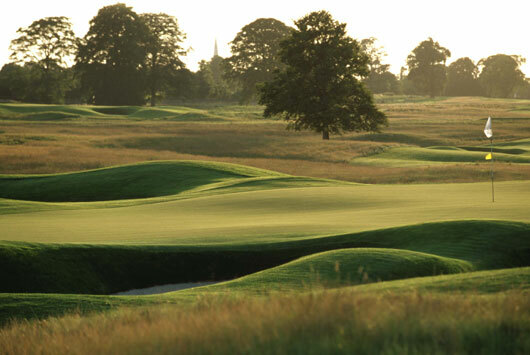 The other par 5 is the 7th, or ‘Westlin’ Wyne’ on the Queens Course at Gleneagles. To be honest, at only 490 yards, and much of it played downhill, it is barely a par 5 by today’s standards and the fairway bunkering perhaps doesn’t challenge the best players as it might, but there are two reasons why I include it on this list. Firstly the bunkers themselves make such a fantastic statement with their deep, grass faces rising from the fairway, their great half moon shapes seeming to perfectly reflect the natural humps and bumps formed when ice moved through this valley thousands of years previously. What keeps this hole as a proper par 5 though is the severe slope at the front of the green – which is not particularly evident from the fairway – and will sweep any slightly under-hit approach into the greenside bunkers. The par 4’s I like are all strong strategic holes where the golfer is asked to make decisions from the tee in order to set up the best way to get close to the pin with his second shot. 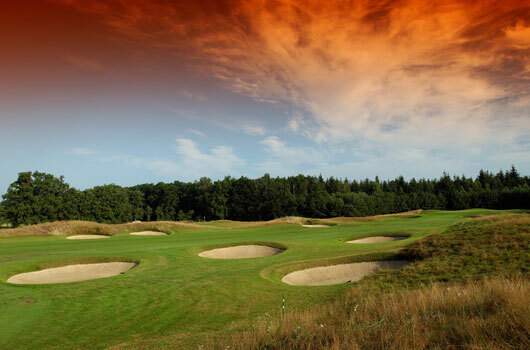 Such holes would be the 3rd at Royal Lytham, the 14th holes at Royal Dornoch and also on the Kings Course, Gleneagles, the 13th holes at both Elie and the Dukes Course, Woburn, the 12th at Sunningdale Old and the 15th at Carnoustie. As for par 3’s well there are too many to mention. The bunkering at the 13th at Muirfield and 10th at Winged Foot stand out, there’s the glorious 13th hole at Worplesdon, the bumps and hollows around the 7th green at Rye and the 5th green on Sunningdale New. I’d include the Redan (15th) at North Berwick and then the water on the 12th at Augusta and finally the long 3rd at Elie. Current vogues in golf course design are towards more natural looking golf courses with a natural, rugged appearance. There has been a move away from the very architectural sculpting of the 1980’s and 90’s where artificial mounds and shapes perhaps sat at odds with the landscape setting. Ragged-edged bunkers are all the rage and there is a perceptible move towards less manicured courses. This retro design style is possibly also as a response to the growing awareness amongst today’s designers of the importance of environmental protection and the need to make golf courses more sustainable in the way they are both constructed and maintained. Looking to the future this approach is likely to continue as pressure increases for new golf courses to use less irrigation, fertilizer and chemicals and for the size of intensively maintained areas to be reduced, a task made more difficult as golf courses are tending to get longer to combat the improvements in equipment technology and player fitness. 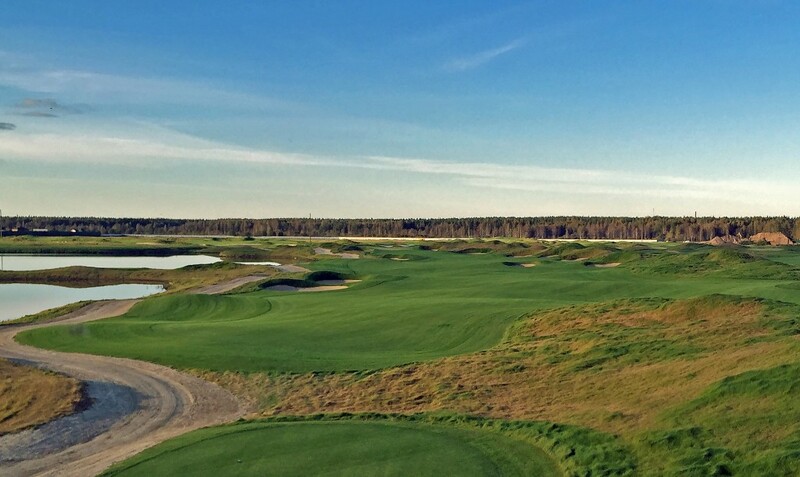 Examples of these new trends in golf course architecture are typified by courses such as Sand Hills and the quartet of courses at Bandon Dunes in the US. In Scotland, Castle Stuart follows the trend set by Kingsbarns and The Castle Course, which are all very ‘links’ like in nature although not all created from typical ‘links’ land. More inland courses are reflecting seaside courses in the way they are laid out. The Faldo Course at Sporting Club Berlin in Germany and The Montgomerie Course at Carton House, Ireland, both designed by these greats of the game with my colleague at European Golf Design, Stan Eby, are two fine examples of what can be achieved by taking the character of a traditional links and transposing them inland. Similarly at The Dutch, a new Montgomerie Course in The Netherlands, Colin and I were very keen to build something not only unique for Holland but a course which delivered a certain ‘wow’ factor by taking inspiration from the more rugged elements of seaside golf and transforming a completely flat, inland site into a thrilling visual landscape in its own right. 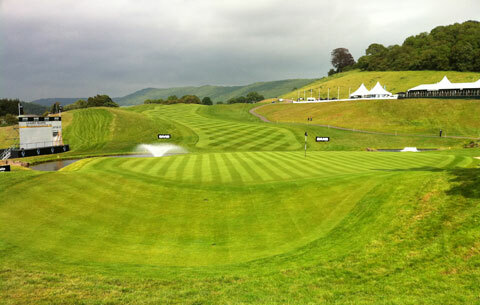 Returning to The Celtic Manor Resort for last week’s SAAB Wales Open one could not fail to be impressed by how well the Twenty-Ten Course had recovered from the rigours of staging the Ryder Cup last October. Where once there were seas of mud along the spectator walkways there is now fine green grass and the course was back at its best, glorifying in some welcome sunshine. The transformation of the course and its surroundings is all the more remarkable when you take into account the terrible winter weather, when this part of the country had snow lying for over a month, and then the prolonged dry spell and high winds which were experienced in the spring. Much of the credit for this must go to Director of Golf Courses Jim McKenzie and his team who, having done so much last year to set up the golf course for the Ryder Cup, were then treated to the worst weather imaginable during the actual event. Since then it has been a matter of committing resources towards getting the course back to full fitness in readiness for the SAAB Wales Open on the 2nd June. Ironically more rain fell at Celtic Manor Resort in two days during the Ryder Cup then has fallen since, but at least this dry spell has allowed 40,000m² of new turf to be laid in the worst effected parts of the golf course. To put this into context this would be enough grass to relay the pitch at the Millennium stadium some four times over, or, for a golfing analogy, approximately 70 greens. Most of this turf has been installed on the lower, flatter parts of the site, but also on the hospitality platforms and the tented village location where large numbers of people and often vehicles did most damage. In fact the impact on the venue did not end on the last day of the Ryder Cup as removal of the infrastructure went on into December, requiring hundreds of additional truck and vehicle movements in increasingly damp ground conditions. For the event last week the Twenty-Ten Course was prepared immaculately and proved a real challenge to the players in blustery winds. Despite some rain on the last day the staff at Celtic Manor Resort can breathe a sigh of relief that there was no repeat of the biblical downpours of last October. This time, with the Wales Open at an end, the golf course will be right back into action, providing a thrilling test for average golfers who wish to tread the same path as their golfing heroes.